Any luck on the brake cable extension? Was out of town over the weekend but so far I have not found a place locally to make an extended cable. 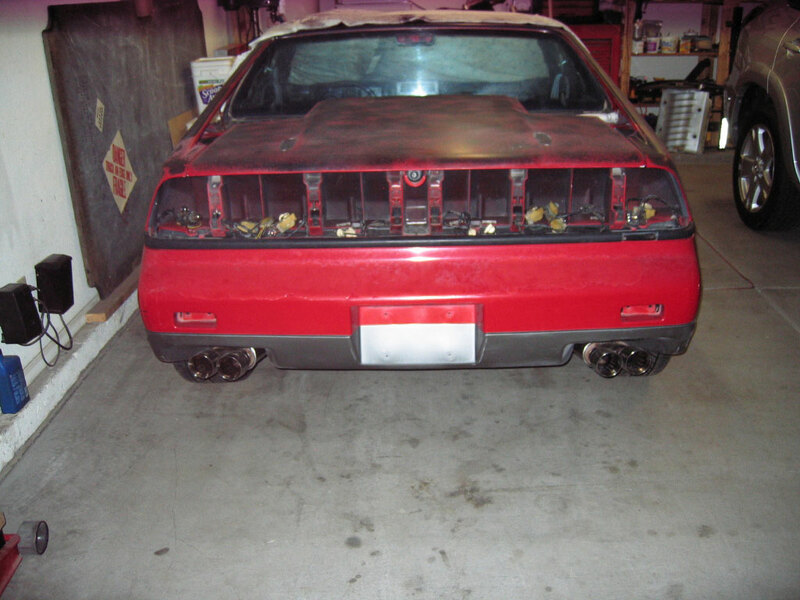 I found a company locally that was able to come close to the same cable setup that is stock for the Fiero. I had them sell me a cable that was 7" longer than stock for the cable that runs from the ebrake handle to the splitter/adjuster. It seems to be ok for now. I will have to see how it works over time. 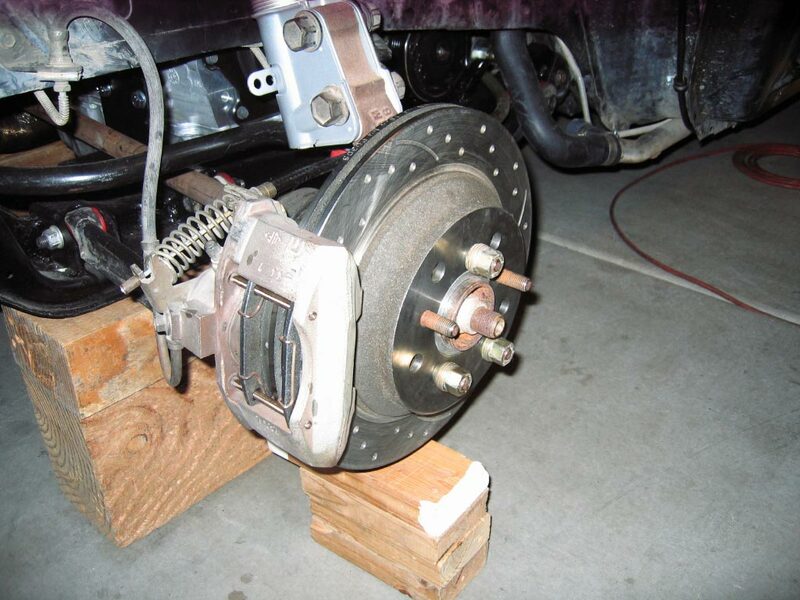 I am new at doing the Fiero brakes so I spent extra time tonight learning about them and completing a brake pad R&R for the right rear brake. The caliper appears to be the pre-recall style with the plastic air-vent plug in the face of the piston. It seemed to be in good condition overall so I just cleaned it up a bit and lubricated the sliders. I used the "screw-in" method to compress the piston into the caliper and that seemed to work fine. Tomorrow I hope to get the other side done and then I will start looking at how to get cool and clean air to the ITB setup. I imagine they would be ok. Not sure as each cylinder is bigger and that may make for more noise. I am hoping to get the bumper cover on soon to see how the tips look. They may stick out just a tad. The mufflers fit good without the tips but they needed some bling. Why yes, they are. These are from the batch that GSXRBOBBY put together and sold several years ago. Thank you for the input, I was hoping that they would be a nice improvement. 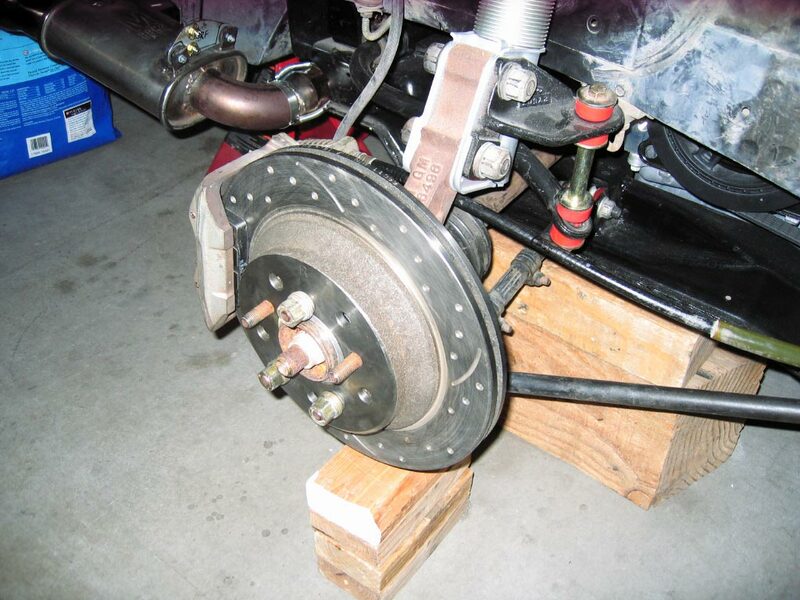 I still have some work to do on the brakes. After getting the left side cleaned up, lubricated and new pads installed, the brake pedal feels mushy so there may be a bleeding to do or maybe something needs attention that I missed. Looking great Charlie. You're making great progress. I'm mired in too many projects. Can't get anything finished, but it does start again as of a few hours ago. Glad to hear its running again, great incentive to fiddle with it some more. Some teaser pics. Need to figure out how much space there is above the ITB's. It looks like I will have just over 3" to play with for a plenum. For now I want to keep it under the deck-lid. With the rear fascia on I can see that the right exhaust tip needs to be raised a little to match the left side. The tips are a tad long but they do not extend beyond the rear of the rear fascia. The rims and tires look like they will work nicely. Is that light that I see at the end of the tunnel? Glad it's not me in that tunnel, or that light would be an oncoming train . Looks great Charlie!! your persistance is finally paying off. so are you expecting to go to the smog cops with the ITBs installed after all then? I hope so, I need to get the intake plenum done and then get back to the painting. It appears that I will need a new master cylinder as it is gurgling when I push on the brakes. I think I messed it up by pushing it way past where it normally goes and tore the seals. While I am at it, I will replace the flex lines, so there are a few more things to do to get it rolling. Yes, I hope to get a permit when it is time to tune and see what I can get done, then take it in and see what they tell me. I figure it is ok to try it this way first. If that does not work then I can go back and try the stock intake and do it all over again. Damn, I was going to say something about a train, but Russ beat me to it. I am hoping to avoid trains if I can help it! The big problem for me when it comes to seeing light at the end of the tunnel, is that the tunnel caves in !!! Trains I can deal with, I just hate being buried alive. What you mean I'm not supposed to drive in the left lane??? Maybe that is why I almost got killed driving in New Zealand? Hey Russ, is this anything like what you started doing for your air intake? Here are some pictures with the velocity stacks sitting on the ITB's. If you look carefully you can see that they have a groove molded into them just above the clamp ring. This is ideal as it will hold the base plate for the plenum above several things that would otherwise need to be removed. I am hoping that a 3" intake tube from a filter cone located forward of the left rear wheel will supply enough air for the system. Forgot to add that RockAuto ended up having the best prices I could find for a new brake master cylinder and flex lines, so they are on the way. Yes. that's exactly what I built as a base plate. however that's also as far as I ever got with the project. I did cut a hole in my decklid however . my concept was to have a clear plexi "bubble" mounted to the baseplate, and that would stick through the decklid (an inch or so)as a "shaker" style intake. that way you show off the individual stacks, yet still have a good filter system. I haven't found anyone around here that can produce a bubble for me however. Cool! I think there will be enough space below the deck lid for now. I can always cut a hole in the deck lid in the future if it seems like a good idea later. While I wait for the brake parts and the 2 1/4 hole punch to arrive I will try to finish swapping out the power accessory parts and install the new dew-wipes in the 86 fiero. Not too much to report. I took the window regulators out of the 86GT(yellow coupe body) and put new aftermarket motors on them. I took the donor car regulators (86GT early coupe style with 180K miles on it before parting out) and put new aftermarket motors on them. I put the donor car regulators in the 86GT(yellow coupe body) and also installed the new dew wipes. Other than the drivers side headlight gear needing replacement, the daily driver is almost in normal condition for driving. I started working on installing the brake flex lines and master cylinder on the 88 but ran into some resistance trying to get the front right rotor off. 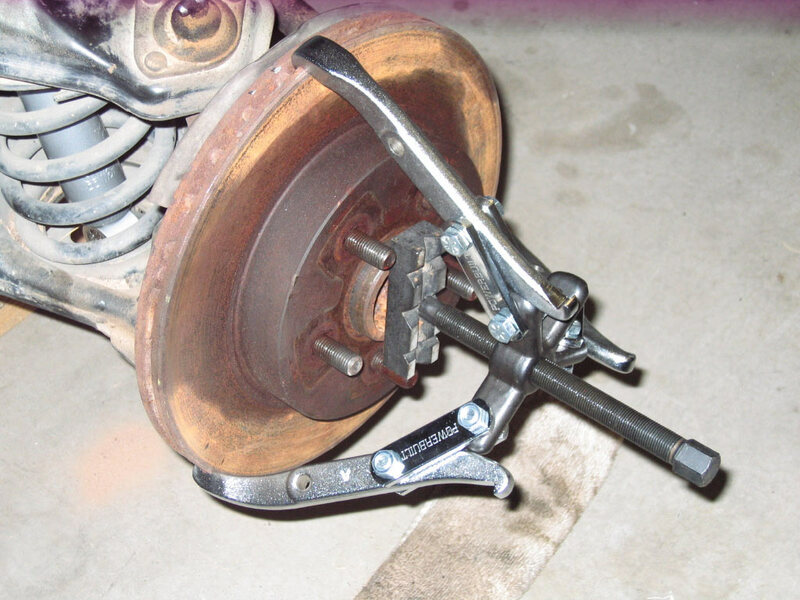 24 hours of PB, heat, hammering and pulling finely paid off and I was able to R&R that brake setup. I just need do the left front brakes and install the flex line for the left rear brake. The master cylinder will be last to go on. 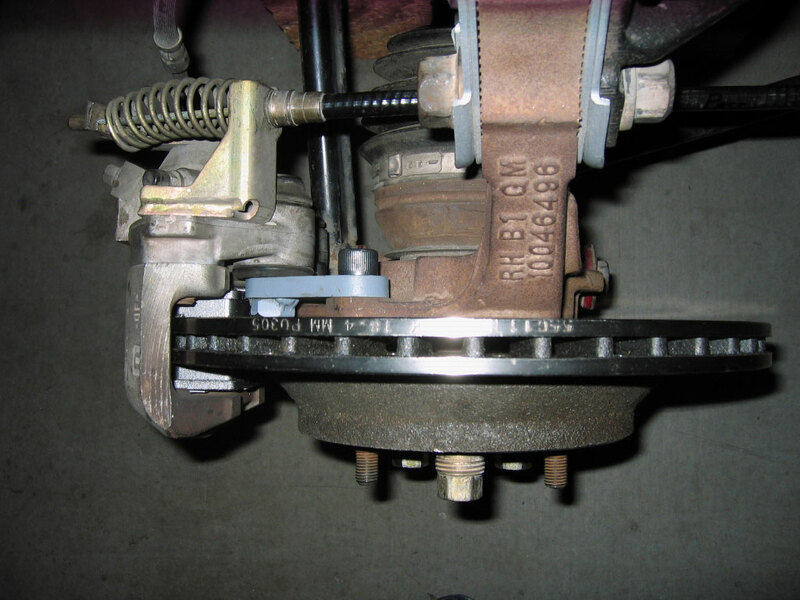 Picture of a stubborn right front rotor. This was after approximately 22 hours of working on trying to pull it off the hub. Amazing what 21 years and some light rust can do. Holy crap, this build is looking pretty damn sharp. The fabrication work is impeccable! Bring on more updates! I am not familiar with the cold air systems or what should be considered minimums. Can you tell me if it is important to just have a larger filter opening (using an adapter to neck down the size from 5" to 3" tubing) or do I need a 4 or 5 inch intake tube in addition to the larger filter? 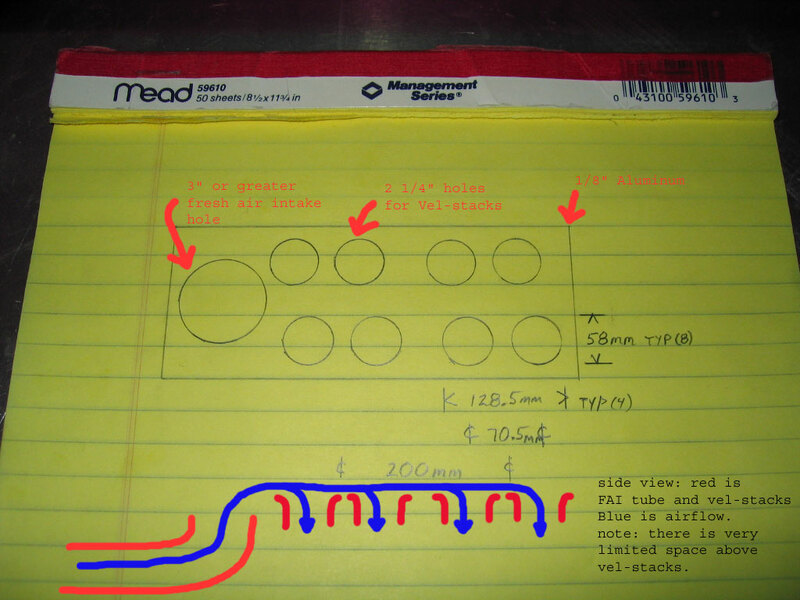 I assume that in this case larger is better but with the limited room larger tubing means exponentially increasing the difficulty in routing and fitment. Thank you! I will keep them updates rolling. In an ideal scenario, would be not having any kind of restrictions at all. 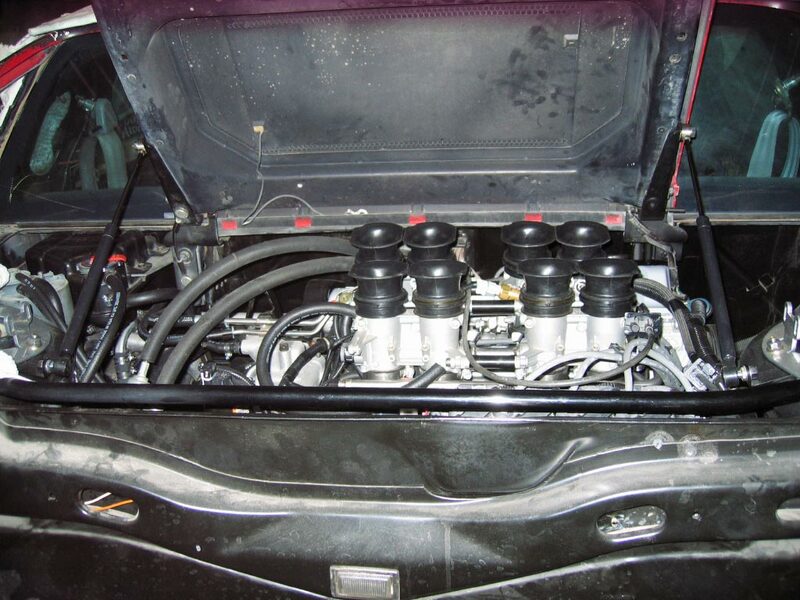 Take a look at some race cars intakes. Of course these are the extreme applications were HP is the ultimate goal at the expense of the engine’s life spam (That’s what sponsor’s are for…). But for a street application there is the need to keep debrief from flying into the engine for obvious reasons. However keeping the restrictions to a minimal is the key factor, so the least amount of HP is sacrificed. You have already overcome the biggest of all challenges by using an ITB setup. Making the best use of it includes to provide Little to None restrictions. 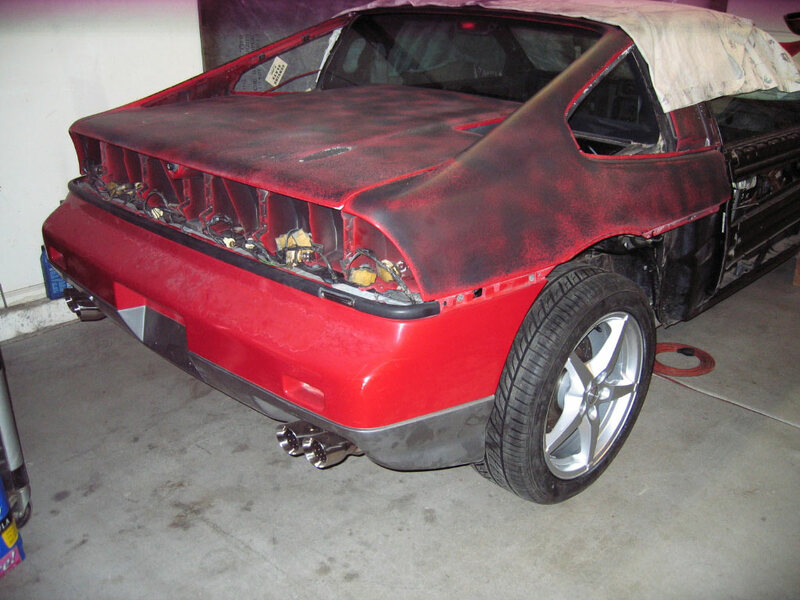 Because the location of the engine of the Fiero (behind the rear windshield). You do have to induce air flow with the use of an air scoop to help the airflow. Now to keep things clean I would try to get a set of Mini K&N filters for each TB. But if the use of a box is what you have in mind try to make the thing as BIG as possible, and do make sure the air filters that you use are big in diameter. When I was talking of 4 to 5 inches I was talking of the Air filter’s diameter (at the neck), where the air filter meets the intake tube. I can’t remember the exact size of the stock N* TB, but I think it is like 75mm and that is roughly 3 inches in diameter. And I don’t know for sure the diameter of each of your TB but if I had to guess it is about 44mm each that is almost 2 inches “Each” and you have 8 of them... Means that if you had to put together all of your ITBs areas into a single TB you would have to have a TB that was at least 11 or bigger Throttle body. So can’t really expect to match it to a 3 inch Air filter. 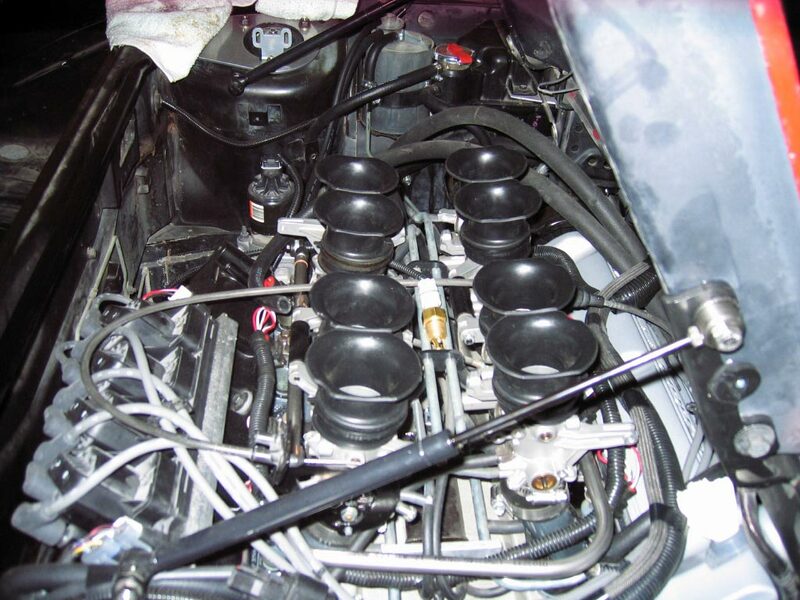 Doing the math using 8 - 40mm throttle bodies, I come up with an equivalent single tube size of 4.4548". I don't know if I can run tubing that large or not but I will check into it. Thanks again for the input. Just go with a single 5" filter. But I recomend using two 3" filters. WIth one on the left and one on the right. Because I too have planned to go with ITBs I have thought of installing GT quarter Scoop windows and make a sort of funnel on each back side of the scoops to collect the air, and running a 3" pipes into the intake box. I must say that the last few post on this thread have really been informative. But could one of you take time to explain the advanages of using ITBs to a engine mechanics newbie? I am not a thread Hijacker!!! There is definitely a coolness factor, but other than that...It has to do with flow dynamics and the power band that an engine is designed to run at. In this case it's coolness. 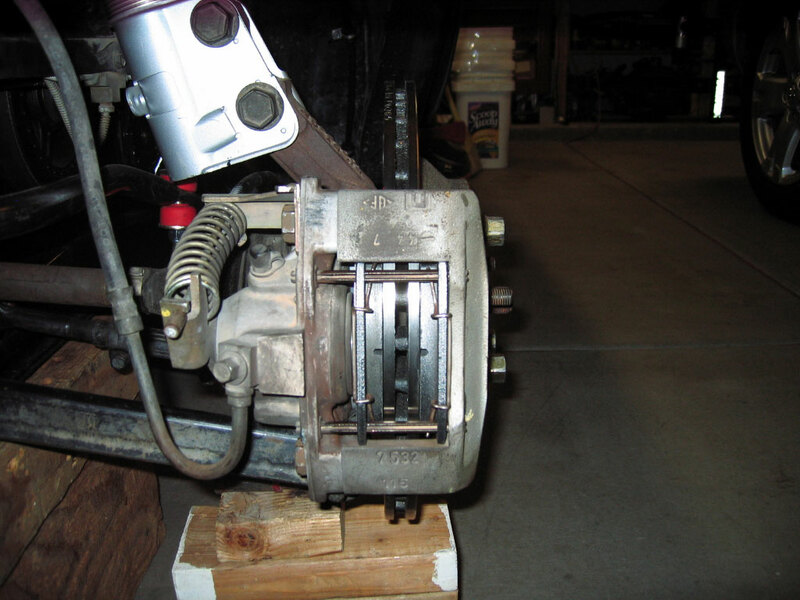 The primary reason for buying Russ544's ITB setup was the "coolness" factor. In fact it is also the most expensive part that I have purchased for my project. I do not expect any extra performance from it. If it does improve the drivability and or performance of the car that will be a bonus. The second reason is that it does not force me to change the routing of the transmission shifter cables. The third reason is that Russ found that his ITB system provided a better idle when using a Holly 950 Commandor engine management system. Will can do your question justice. 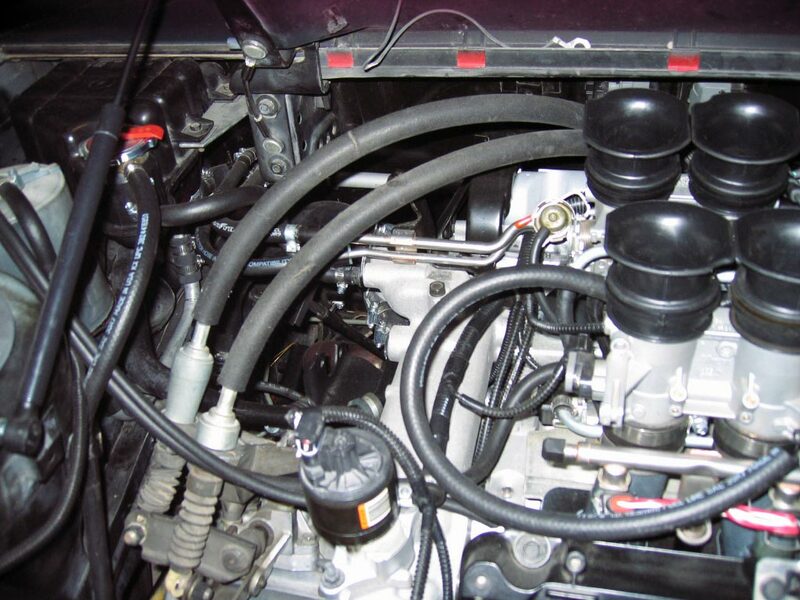 I am not well versed on the pro's and cons of ITB vs stock style single throttle body/intake manifolds. As posted above I really like the bling factor. One of the things I now have to consider is proper synchronizing of each throttle body to the others. I have heard that it can be a real PITA. I am hoping that it will go well. Not sure what that looks like but today I finally got all the holes cut in and the metal bent to match the angle of the ITB's. It needs to be trimmed some more but this is the basic idea. The FAI intake hole is only 3 1/8" right now as that is the largest punch I had. I will enlarge that as necessary to fit whatever tubing I end up using. For this to work properly I am going to need to cut and raise the decklid over the plenum. I will have to decide at some point if I will do that or not. 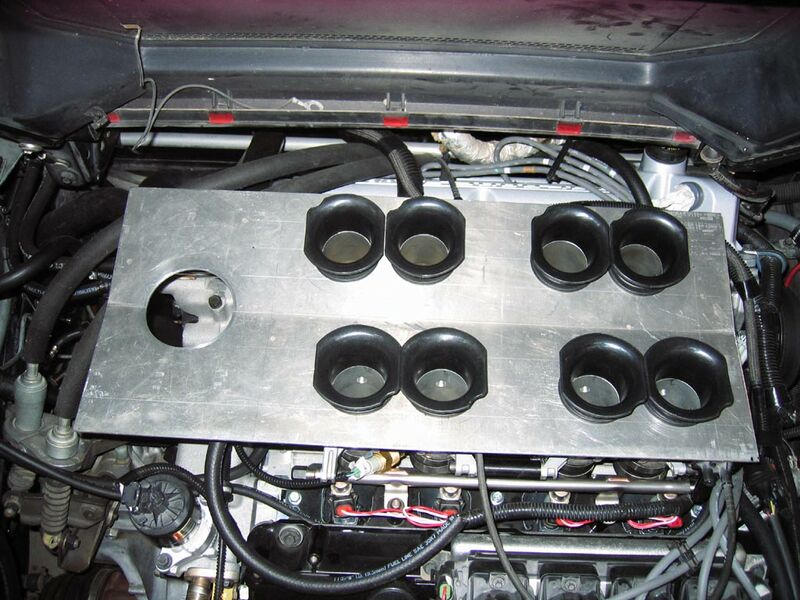 If you cut off the top of the velocity stacks just above the base plate "gromet" area, would that allow it to go under the decklid once the top of the airbox is fitted? It might hurt the airflow above 10,500 RPM somewhat however. Hi Russ, I am glad you brought that up. With the full height of the vel-stacks there is not quite enough room above them to draw air unrestricled. I would rather not cut them down because it takes away from the "bling" factor. If they really do nothing in the stock rpm range I will cut them down to achieve more space between the ITB inlets and the bottom of the decklid.